At Glasshat, we’re on a mission to help make the process of creating a marketing plan for your website one of the easiest parts of your day. So if you’re new to creating an SEO plan for your business and just want some help getting started, or just feel like you’d benefit from some tips to help streamline your SEO planning then look no further. Here are 5 tips from the team on how to pick the perfect actions for your plan. Every marketing action we recommended for your website comes with a time estimate on how long it takes to complete, so you know exactly how much time you need to get it done. To help you get started add actions to your website’s plan that you know you can complete within the time you have put aside to work on your website. Whether you only have 15 minutes or 5 hours to work on your seo marketing plan, there are lots of options that help you to make the most of the time you have. Whether it’s writing some interesting blog posts or fixing up some meta data on your website, select quick marketing wins for your plan by choosing actions you know you’re most interested in completing. While it’s important to give all areas of your website some love and attention you’re more likely to get started on an SEO plan if you start with things you enjoy doing or want to learn more about right now. Easy, moderate or hard? You decide. 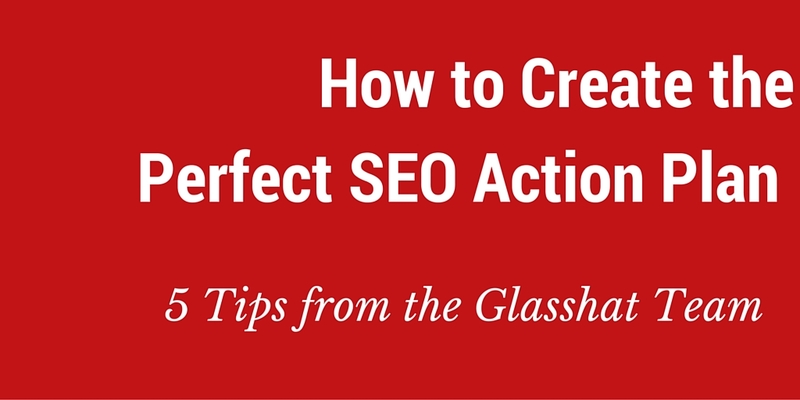 To maximise your chances of completing an action, create an SEO plan that fits with the resources and skills you have available to you at the moment. For example, if you have an intern in the office then this is a great opportunity to knock off a bunch of the easier actions, like re-writing title tags or optimising images. While if you have someone in the office who’s great at writing and has a couple of hours to spare, why not shoot them over a content creation action that comes with full instructions on what topic to cover and which keywords to use. Select a mixture of health check and performance actions to add to your SEO plan of action to ensure you’re covering all your website bases. While it’s important to make sure your website is in tip top shape by completing ‘health check actions’, you also need to make sure you’re keeping up with the competition by ticking the ‘performance actions’ off your SEO to-do list. Completing keywords specific actions can really help to increase traffic to your website, and they also help to make sure that you attract the right people to your website – so make sure you have a good amount of variation when you’re selecting keyword specific actions to add to your SEO plan. Want to learn more about how our SEO tool can help streamline your online marketing planning? Get in touch with the team, we’re on hand to answer any questions you have about the tool!